Our Dual-Sided Wooden Step-Stool is perfect for your little ones who are ready to reach for the stars! 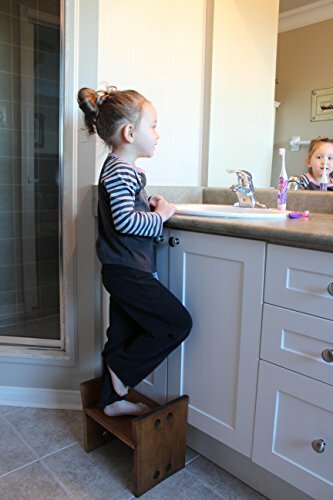 Made from 100% locally-sourced Canadian wood, and finished with a non-toxic and eco-friendly stain, this stool can also be flipped upside-down to be used at two different heights as your child grows. Personalize your stool with your little one's name! If you have any questions about this product by GanderandGoose, contact us by completing and submitting the form below. If you are looking for a specif part number, please include it with your message.